With nearly 400 stores across five countries, we're a one-stop source for domestic, international, and freight shipping services. When you visit your local Pak Mail in Lakeway, we'll find the most cost-effective, safe way to pack and ship your items, whether it's by air, ocean, or ground. Welcome to Pak Mail of Lakeway! Pak Mail of Lakeway is the most complete packing and shipping business you will ever use. Pak Mail of Lakeway is a full service packing and shipping store as well as a custom crating and freight shipping company. 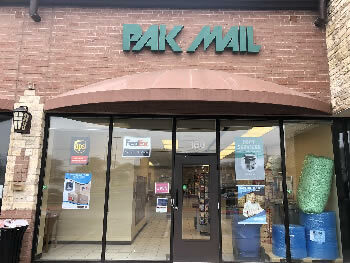 Pak Mail of Lakeway has been serving Lakeway, The Hills, Bee Caves, Rough Hollow, Hudson Bend, Spicewood, Briarcliff and South West Austin for over 15 years. Request a Free Online Estimate or call us at 512-402-9393.